When it comes to meeting the most demanding tasks in the kitchen, the necessary ingredient is power, power, power, and Omni Blenders have it! 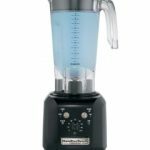 Omni Blenders are powered by 3 horsepower motors, and these motors ensure that they are capable of blending, chopping, crushing, and pureeing almost anything you can think of. From whole fruits and vegetables to nuts, Omni blenders can handle it all. 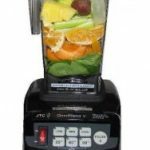 One of the biggest benefits you will encounter from investing in your own Omni blenders is durability. Omni blenders are built to last for the long haul. Its components have been constructed from the highest quality of materials, including stainless steel and polycarbonate, to ensure its durability. 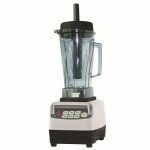 Furthermore, Omni blenders are backed by a 7 year warranty offered by the manufacturer. 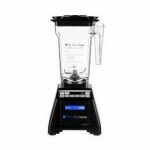 Omni blenders offer effortless blending capabilities and cleanup. Certain features, like the powerful pulse button, pretimed settings, and auto speed increase, are designed to make the blending process as easy as possible. Cleaning up after using your Omni blenders is even more simple. 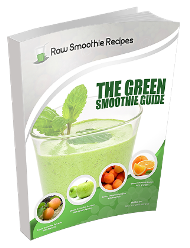 All you have to do is add a small amount of warm, soapy water to the blender and run it on high for 30 seconds. Finally, Omni blenders feature an ergonomic design that minimizes the amount of counter or cabinet space that is required to store them. Additionally, these blenders feature a reduced noise capacity. Studies have shown that, even when in full operational mode, Omni V Blenders are 25% quieter than their nearest competitors. Make all of these benefits yours and come check out what Omni Blenders have to offer for you!